In the recent past, many of us have always carried a notebook and a pen to quickly take notes when necessary. Of course, in some cases, making notes in a notebook is much more convenient but nowadays one can use modern technologies from time to time, namely smartphones. There are many applications that allow you to quickly take notes directly on your smartphone, and today’s article we decided to devote just such software solutions. 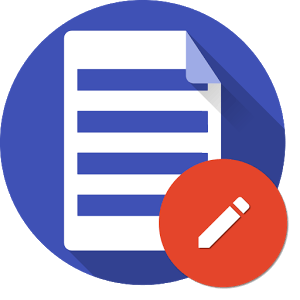 We present the best notepad Android applications, which you can download and install from the official Google Play store. 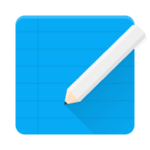 ColorNote is a notepad program for Android, which allows you to create a huge number of individual notes and reminders, as well as to form by category and highlight with different colors, that would not forget where something is. 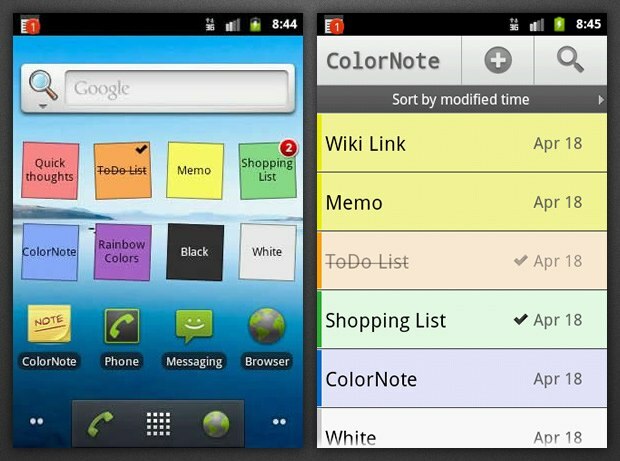 For those who constantly use notes on the Android device, the ColorNote program will be an indispensable assistant, and for those who are not accustomed to write their cases into notes, it will be a real discovery, as here you can save all the necessary information easily and quickly, and most importantly – securely! To quickly record something, just make a few touches and all the necessary information will be at your fingertips. 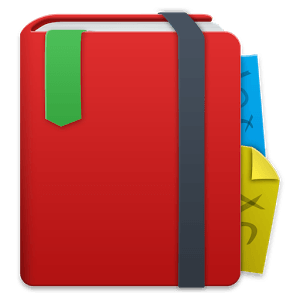 Sorting notes by color helps quickly decompose all notes into the required category, and then also quickly you can find the note you need. You just need to look at the color and do not need to sign anything and read it! The sticker widget helps to display the most important notes or the last ones added to the main screen, in general, it all depends on what notes you prefer to see on the main screen, because in the application ColorNote notebook and notes for Android can all be customized. Synchronization with the calendar helps you create notes with reminders for certain days, while you do not need to climb into the calendar and create new reminders, just create a note for a certain date. So you never miss an important point. Blocking notes with a password will help you protect your personal information from prying eyes. With this function, you can always be sure that nobody will read your notes, and secrets will always be at your fingertips. Backing up your notes to the memory card will help you save all important information, and if necessary, you can synchronize the backup with the cloud storage. This will be convenient when transferring information to another device or if you just want to protect the information from a sudden breakdown of the device or some other factors that could damage the information stored on the Android device. A reminder in the status bar helps to know in advance about the upcoming event. This feature will be very useful if you suddenly forget about some kind of event. A convenient reminder system has fine tuning. You can specify the time of the signal to within a second. It can be like the whole day, an interval with a certain periodicity, or even a lunar calendar. A convenient search for notes will help you in just a few clicks to find the right note from a huge number of others. With such a search system, you will understand that it is very easy to find a needle in a haystack. Forming notes with a tile or a list. So you can most conveniently arrange all your notes on the screen of any size and resolution. 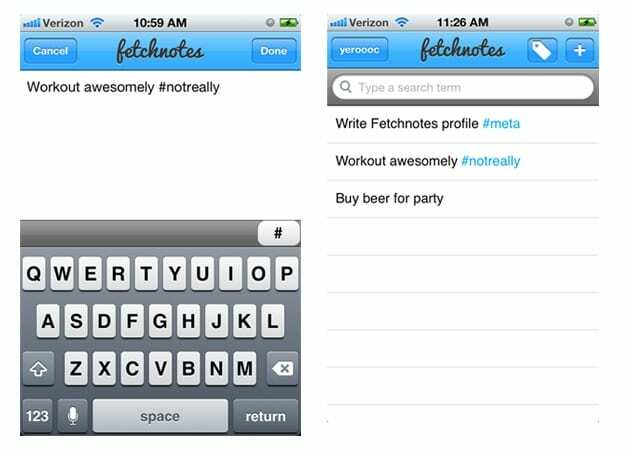 Integration with social networks will help you share your notes with your friends. It is possible to send notes both in social network messages, and through SMS, e-mail and other means of information exchange. 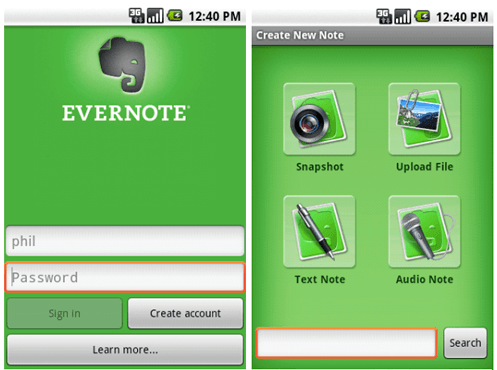 Evernote is more than just a note editor program for Android. If you need a universal repository for all your ideas, as well as a place where you can record and save any information, then you just need to have Evernote on your phone and tablet. In terms of functionality, the program does not have a single opponent and allows you to take photos of ads, price lists, schedules, save photos, audio recordings, Internet pages, as well as voice, printed and handwritten notes. After that, all information is automatically synchronized with the server and becomes available for other user devices. If necessary, using the “Location” menu item, you can make a note or event binding to the terrain. Creation of several notebooks, notes in which will be sorted by creation/editing date, title or location. Recognize audio notes and convert them to text, which further simplifies their search. 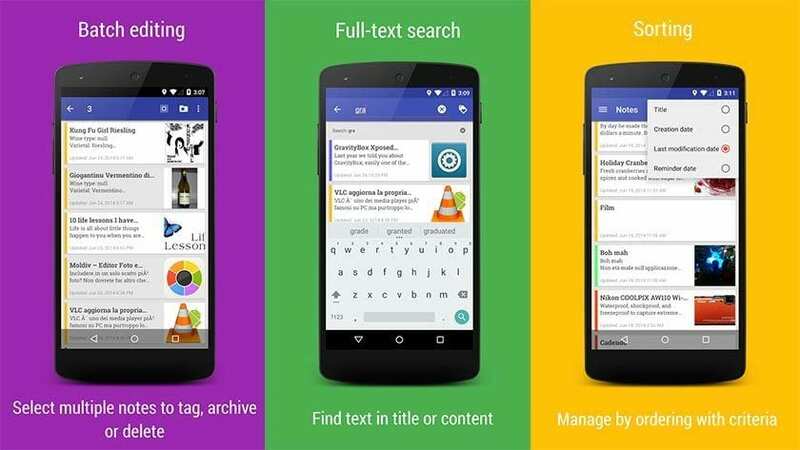 Recognition of an image, whether it is a scan of a document or a photograph of a business card, after which the user will be able to search for keywords in the same way as in text notes. 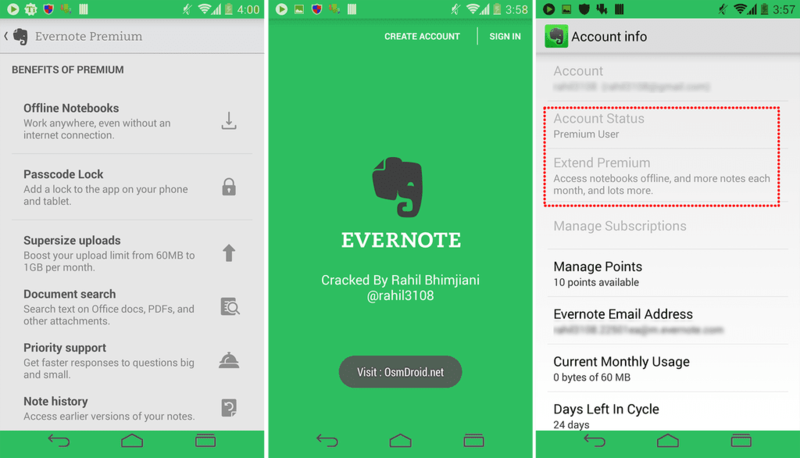 Surprisingly, with all this functionality, the basic Evernote account is completely free. And those who do not have enough of this functionality will have to invest in a premium account, which will give the user additional options: 1 GB monthly for storing records, an increased maximum size for one note (100 MB), the ability to search in attached documents and PDF files , sharing notes to your friends and colleagues, and much more. However, it should be noted that even the basic account will be enough for most users. 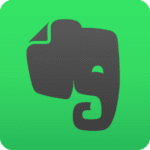 So, if you need a functional organizer to save your ideas and notes with the ability to access them, from any device, whether it be an Android smartphone or a PC – Evernote is just for you. FairNote Notepad – this notebook is great for fans to take notes. It is easy to use, with all the records sorted. And the length of notes is not limited, and at any time they can be exchanged with other devices. Records can be sorted by subject, each of which can be assigned a color, this will give an opportunity to easily navigate in them. For each note, you can set a reminder, and also exchange texts with other applications. If necessary, the records can be encrypted for security purposes and stored in a backup storage. Fingerprints can be used as a password. FiiNote – an application with which you can easily make up any mark. In this application, not only texts are inserted but there is also support for screenshots, various pictures, and links to Internet resources. With this application, write down any record available to you. Thanks to its unrivaled interface and multifunctionality, the app is appreciated all over the world and is left only with positive feedback. The tool is handy, due to this fact, any user will be able to understand it and make the necessary record for it. Also in the program, there is support for a variety of different fonts and text formatting. If there is a desire, you can highlight the text in different colors or change the color of the letters themselves. If you want to select the desired text area, then you will not find a more convenient way. If wished, the user can change the font to bold, underlined or italic. Also, make superscript and many other possible adjustments. This application is a very powerful text editor, so you can use it not only as a notebook. Due to its wide capabilities, the program has become very popular. Many users speak about it only positively and recommend to their friends. After all, making quick and convenient notes is very convenient in everyday life. Leaving such a note, the user will never forget about an important meeting or other necessary things that must necessarily be done. Download this wonderful application on your mobile device, because making notes is comfy for everyone. As a result, FiiNote is an excellent application with wide capabilities in order to quickly and accurately take notes. It has support for pictures and many common fonts. Each user of mobile devices will find something in the program and will use it every day. 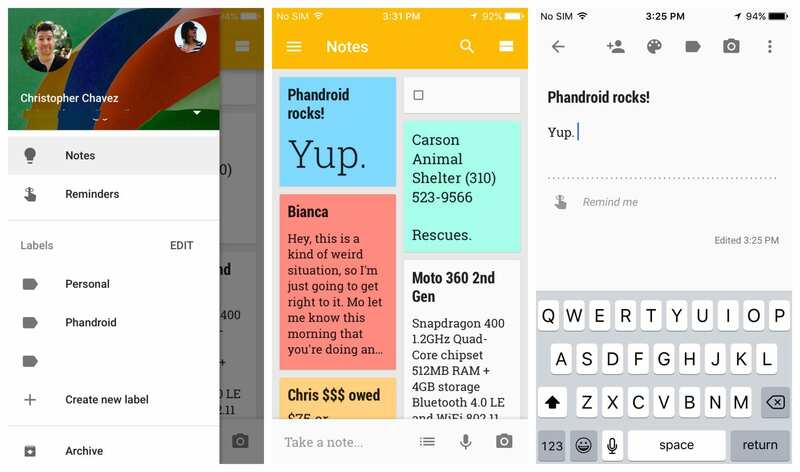 Google Keep is one of the best apps for keeping notes on your smartphone. It is used by more than 10 million people. Also, the Google Keep app is available for the Chrome browser. Where such a success? It’s about simplicity and great functions. 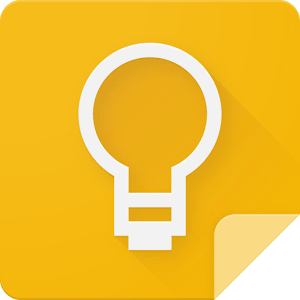 Even if you have been using this application for a long time, you may not be aware of all the features of Google Keep. All the cool task managers allow you to set a reminder when exactly you need to complete the task. So, Google Keep also knows how. When creating a note under your text, you can choose when Google Keep should remind you of your note. 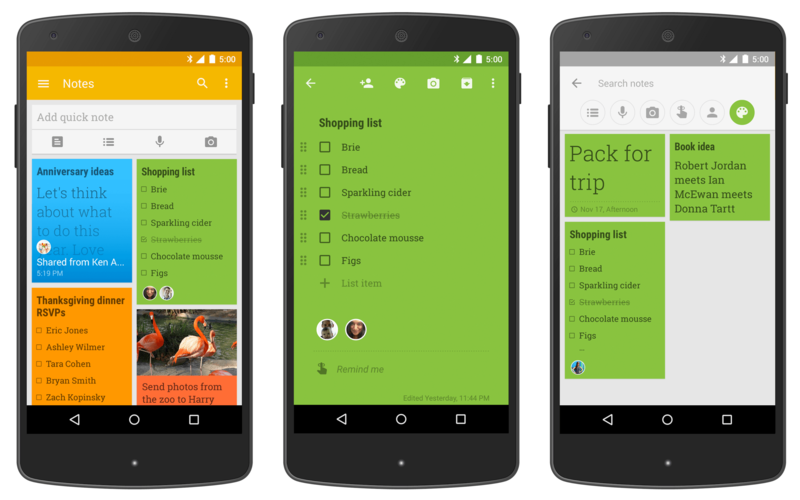 Also, these reminders will be displayed in Google Now. And there is a more steep function – reminders by location. This function is ideal for use in the store. They wrote a list of products to be bought and set a reminder for the location of the store. And even if you forget that you need to go to the store, Google Keep will remind you about it. If you delete a note, and then you need it, then you will definitely learn how to use the archiving function. Well, this time, Google Keep will save you. If only passed no more than seven days. Click on the icon in the upper left corner and select “Cart”. Then select the note you need and click on the icon where the crossed basket is shown. Everything, the note is restored. Next time, use the archiving function instead of deleting the note. 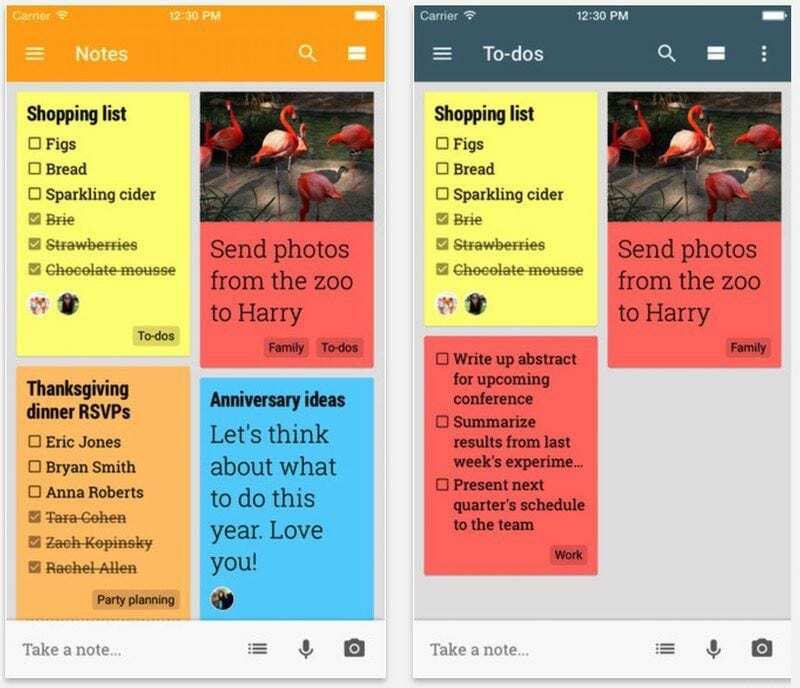 If you use Google Keep, you probably noticed that the notes can be colored in different colors. This is done not only to make your notes look beautiful. When you search for a specific note, you have the ability to sort the search results by colors. In addition, you can sort the notes by the presence of certain elements in them, for example, photos or audio recordings. If you are not very comfortable typing text using the keyboard, Google Keep allows you to simply dictate a note. The operation of the Google voice input function is beyond praise so that the output almost always produces an excellent result. This is the fastest way to create notes, which is great for recording your thoughts and impressions on the go. Sometimes we need to add to the notes the text already existing in some form in the real world. It can be a page from a book, a timetable on a cabinet door or a funny advertising slogan on the street. In Google Keep, you can add pictures, and the application is able to recognize the text contained on them. Just tap on the picture, and then select the “Recognize Text” command from the menu. 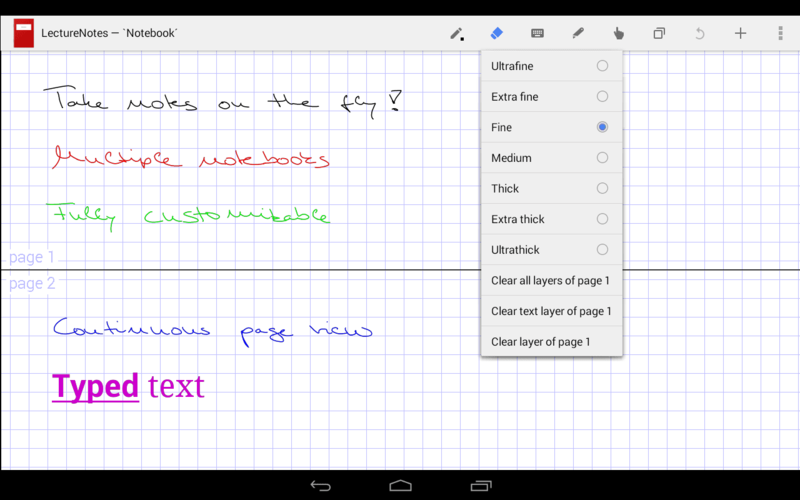 Google Keep does not have too many tools to work together, but the most necessary are available. You can share the selected record with the right people, and they will have the opportunity to view and edit its contents. Fantastically convenient function for family shopping lists, allowing everyone to be aware of what else needs to buy, almost in real time. As you can see, Google Keep is not so trivial. To use Google Keep is still nice, convenient, and very fast. Do you agree? 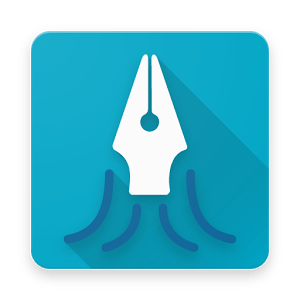 The LectureNotes program is an application designed to keep notes on the tablet using a handwritten input method with a stylus. This application will help to record lectures and abstracts to students, as there is the possibility of creating a drawing, or handwriting, so your summary will be complete and no information will be lost. Also, the application can play the role of a personal diary or a diary in which you can record all your important affairs, thoughts, and also make manual sketches and recordings. The application is created for ordinary users who need a standard notepad, as well as for creative people who are accustomed to making each of their record colorful, beautiful and nothing like that. Just for the second type of people, this program is the most suitable because LectureNotes has a lot of functions and settings, and with their help, you can adjust the color of the page, the type of fonts, and so much more. Also, you can add a photo, then crop it and write or draw something on it by hand. Despite the insanely large number of functions, the interface and control of LectureNotes are insanely easy, and no one will have much trouble understanding it. Smooth page turning and convenient transition between documents will only please you, as this program has the function of displaying several pages at the same time. 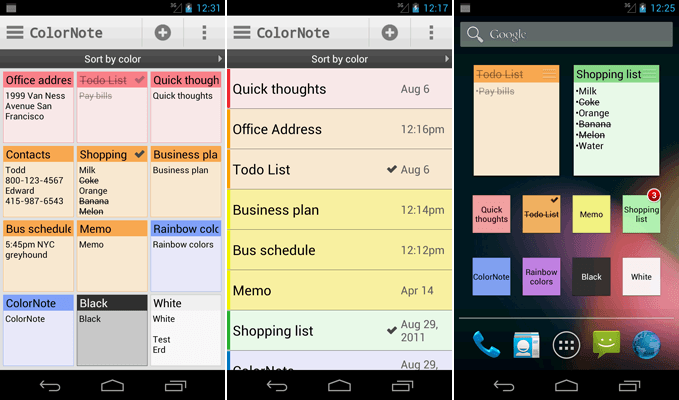 Material Notes: Colorful notes is a useful office program for Android, which is ideal for forgetful people. The presented software is positioned as an alternative notepad with protected notes. The user of the program receives a universal tool that allows you to instantly create important records and lists. Feasibility of use is due to the presence of PIN-codes, which can be applied to certain text reminders. In addition, it is possible to highlight records by color, which is especially important when sorting by importance. It is impossible not to mention the function of adding to the virtual archive, as well as a convenient search system. A nice addition was the cute widgets for the desktop and the option of quick export to a text file. 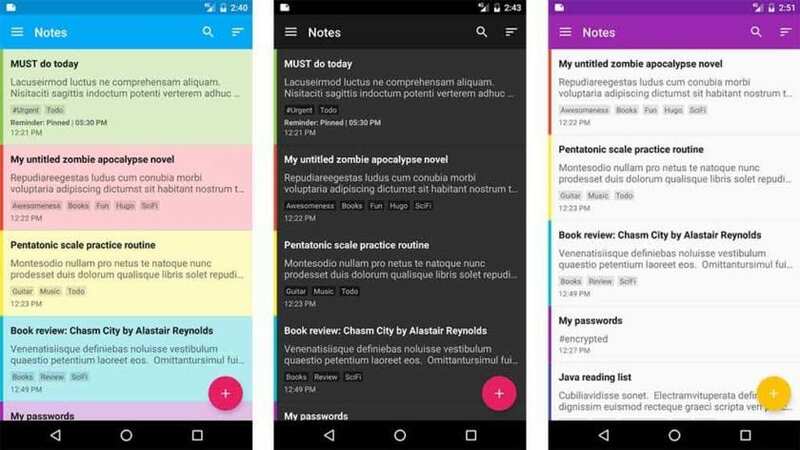 Material Notes: Colorful notes is installed completely free of charge but it provides support for developers. A friendly interface has a pleasant material design. The main menu displays multi-colored records and lists, which form a single tape with tiles. 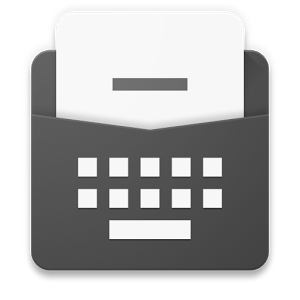 The note creation window assumes the instant use of the PIN code, color selection, and the function of sending to the archive. Additional settings allow you to share notes with integrated services, export records to text files and quickly clear the trash. 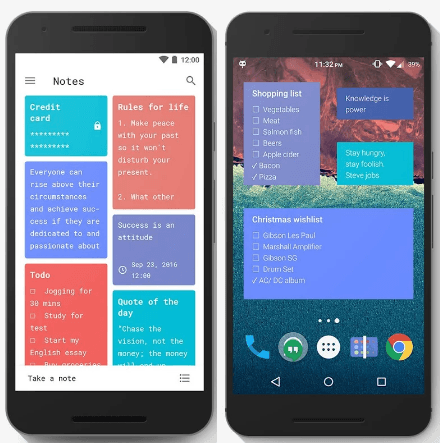 Material Notes: Colorful notes – this is a simple office program for Android, which will be useful to forgetful and absent-minded people. 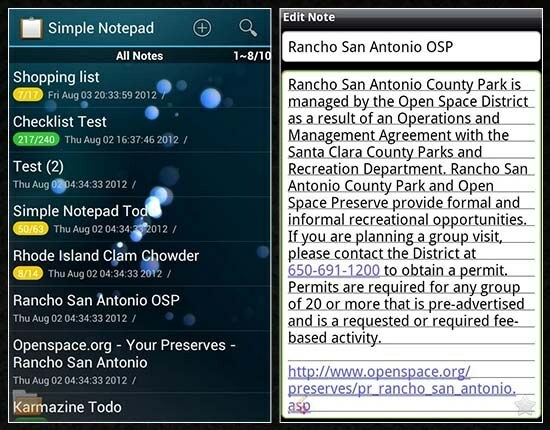 Practical and convenient, download Omni Notes on Android and start planning your life correctly. A distinctive feature of this application is open source code, which makes it useful, convenient, and practical to use. You will have a different look at the process of planning and setting tasks. From now on, you can work simultaneously with several notes, make necessary notes, edit, and delete. Convenient search by content and headings will help quickly find the necessary reminders and other notes. Competent sorting of notes on various criteria will allow you to make lists, blocks of certain tasks and goals. For each type of notes, you can make your lists. For a quick orientation in the categories, a special filter will help. Archives, reminders, and various tags will make your planning interesting and practical. Also, you can highlight the necessary notes and blocks with the color you like. This will further simplify the work with the data. A variety of tools for working with information will allow you to edit your records in various ways. And the ability to add and attach to notes various files of audio and video format, as well as images. If to attach the necessary hyperlinks to all this, then it is possible in this way to compile an ideal shopping list for the table, holidays or the new school year. Even the list of necessary products will become more vivid and understandable for perception if you supplement it with photographs. To use the application more comfortably and conveniently, you can take special widgets and shortcuts, as well as learn to write essays in the form of notes. 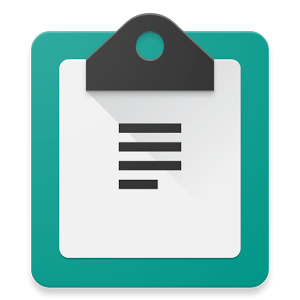 Download Omni Notes on Android and you will be able to plan your day, record the schedule, describe your dreams and set clear goals and objectives. A wide range of settings will allow you to customize the application to your needs. 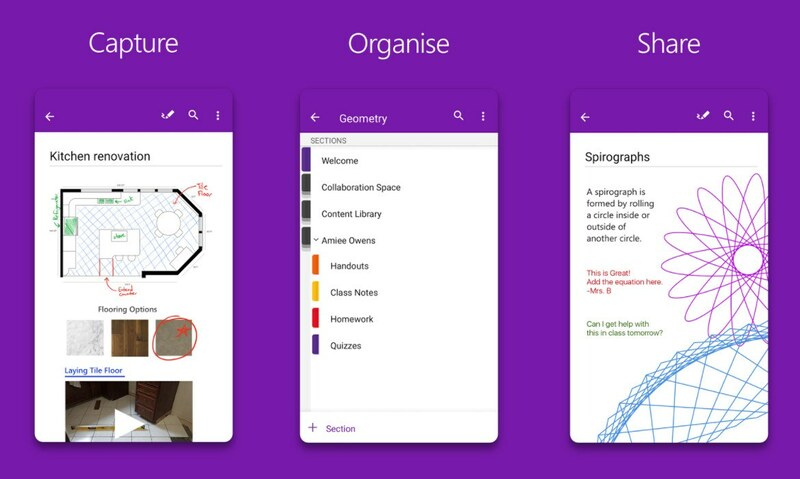 OneNote for Android is somewhat more ascetic in terms of design than for the iPhone or iPad, and looks pretty fuzzy. However, the possibilities for the android-version are almost the same, with some exceptions. 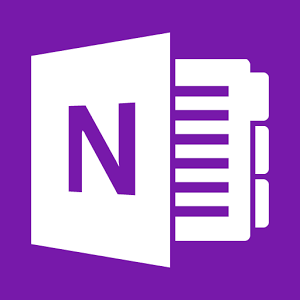 Android version OneNote supports viewing any text styles that are in the desktop version. However, this difference ends. Tags, left or right alignment, almost all inserts, except pictures – formulas, files, pictures and everything else from the “Insert” menu of the desktop version, unfortunately, is not displayed. In the editing plan, inserting pictures or photos, numbered and unnumbered lists are supported, as well as one single tag – a tick for completing the case (TODO tag). Text styles are supported, but in a strange way: if the style is already there, for example, the text is written in bold red, then you can continue to write the same style; if the style is not specified, you can not select the desired style of a text. The Android version has some nasty feature. The program is placed only in the main memory of the phone, without the possibility of transferring to the memory card. If you sync notebook with lots of notes, then memory might start to miss it. Unlike the iPad version, Microsoft did not do support for tablets and therefore the tablet version is exactly the same as for smartphones. This is not very convenient because most of the screen space is practically not used. The Android version is free, only if the total number of notes does not reach 500. After that, you need to buy a paid version for $4.99. This notebook for notes can appeal to fans of classic folders and files. Notes can be protected from outsiders by putting a PIN on the application. The application differs from most analogs with beautiful design. It is ideal for creating text notes. Ready-made notes can be sorted by category. During creation or editing, you can attach media files up to 100 MB in size to notes. Along with the application, widgets are installed on the system, which are designed to simplify the process of creating new notes. You can synchronize the records in the developer’s built-in cloud storage SomCloud. Ready-made notes can be placed on popular social networks, send by e-mail or in the form of a short message. There is the possibility of importing information from other applications, as well as exporting to them. history of work with previous notes. 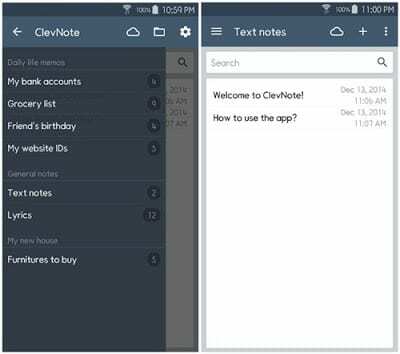 ClevNote is an application created to allow the user to leave various notes in it. Together with such a program, you can easily remember the dates of birth of important people for you, phone number, shopping lists and bank accounts. In the program you can add absolutely all the notes you want. The application can be useful to any user, because it is in it that he can implement his records with convenience. This application is advantageous from its competitors. Because there are convenient settings for notes. For example, it is possible to create different categories of substitutions. This will allow you to easily sort the notes you need, which will be beneficial for any user. That’s why the program is only responded positively. You no longer need to write notes or reminders on paper, spare the forests. After all, a mobile device is always at hand, so you will never forget the important information for you. Even in the settings of the program, there are all the adjustments that the user may need. There is even a change in the external theme of the design. This allows the user to quickly configure the application for their own needs, so the program is really quality. Feel free to download it to your mobile devices. Such quality notes will be useful for everyone. 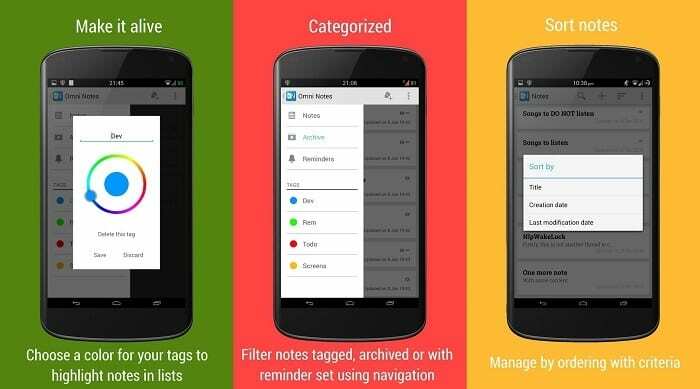 As a result, ClevNote is an excellent application that allows you to quickly achieve unique results in the field of notes and reminders. With this program, you will not forget birthdays, phone numbers or other important data. 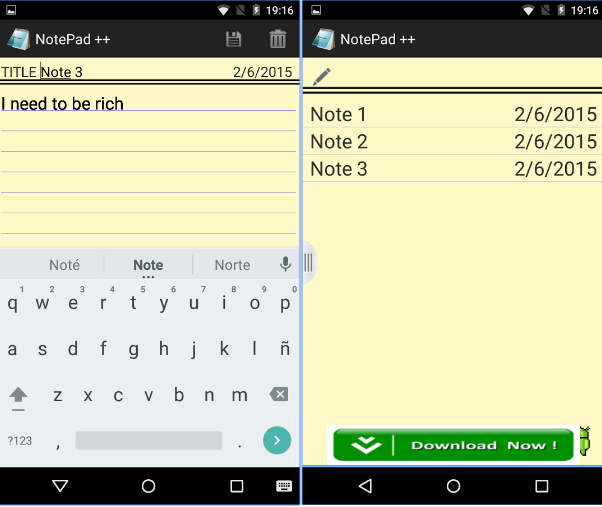 Simple Notepad is another replacement for paper notepads. A simple and easy-to-use program will become your constant and faithful assistant. The interface of the program is very simple, you will see the “+” icon in the top panel allowing you to add a new note for which you can set the importance, reminder, and other useful trivia. The strongest side of the program are widgets, and if you have a device with a large screen, then you will be able to appreciate all their capabilities. They are adjusted by color, background, text color, transparency and of course the size, and there is the possibility of dynamic resizing when dragging, which is very convenient. Other functions are quite common for such programs, among them the ability to save copies of all data on a memory card, synchronize with Dropbox and other disks, add items to the calendar, in a word, everything that does the job with a comfortable application. 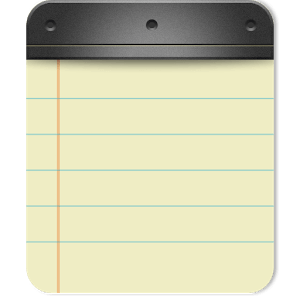 Simple Notepad – a worthy replacement for pencil and notebook. A function of protection of notes by the password. Reminder function for the note. Ability to attach pictures to a record. The ability to export notes to various repositories, for example, in Evernote and others. The presence of the clipboard. Notepad ++ is an extremely popular program, and it would be strange if the experts did not develop an application version that can be used on the super popular Android mobile platform. 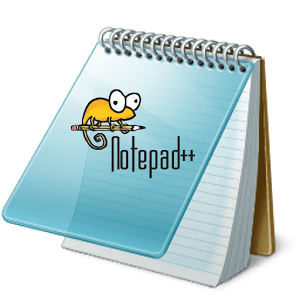 For those who do not know – Notepad ++ is one of the best editorial programs that are widely used by programmers, including experts on the Internet. The program is free and is actively used by more than a million users. The mobile or tablet version, for obvious reasons, will be more modest and will not be able to open all the programming possibilities that Notepad ++ offers. However, it is also convenient and easy to use. Mobile version, although it has fewer functions, still has a lot of settings. In this notebook, you can create a new file, download, and edit the already created one. Like standard text and other editors, the file can be saved or “saved as”. When saving, you can select the desired file format, and to avoid losing data, you can configure auto-save. The application can search for individual fragments in a file, in addition, it is able to find and replace. If the computer version can quickly move from the beginning of the file to the end, then here it is difficult due to the lack of a mouse. However, it does not matter – the developers provided an appropriate function in the “option” tab. Like the original PC, the mobile Notepad ++ is able to work with a huge number of encodings, and you can configure it in almost every element of the program. Even each detail of the menu and work panel can be changed at the user’s request. The editor accepts a font in the size from 6 to 32, can work with extraneous fonts, and simply allows entering the text without formatting. However, it is better to format and complete the file on a personal computer but you can successfully work with the text content of files on the way home or while traveling. In general, Notepad ++ for Android is a successful mobile analog, which is a little inferior to its famous original. Like most other similar applications, InkPad Notepad allows you to take care of all the information that is on your phone. The key point of this program is access to all notes on the site InkpadNotepad.com. The application is designed as a paper notebook and can be used to create notes, to-do lists, shopping lists, and to save and edit them if necessary. As in the competition, this application has an automatic saving function on the SD card. Since the application is free, it is the platform for ads but they can be easily disabled using the menu on the application main screen. Synchronize your notes with the online developer service for easy editing on your PC and access to them from any device. A stylish interface and a beautiful font. Use the standard system font. 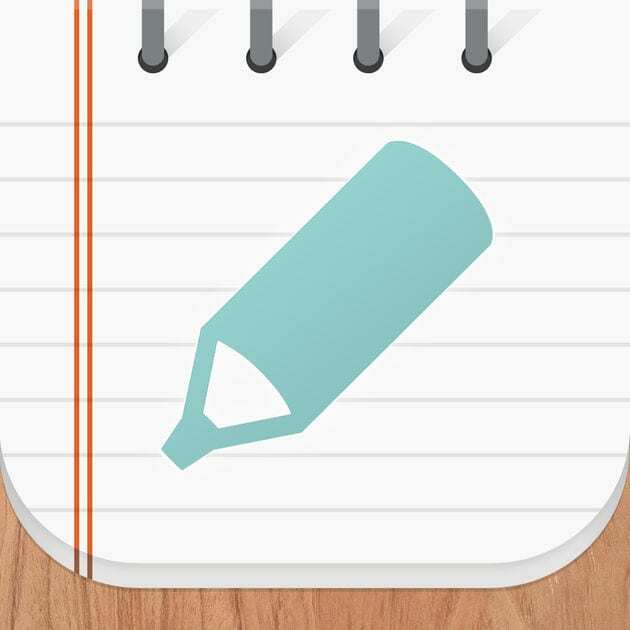 Create, edit, and delete notes, to-do lists, purchases, etc. Create a backup of notes on the SD card (possibly automatic). Displays the time when the note was created. Sort alphabetically and by creation date. The difference between this application and other competitors is the similarity with Notepad from the Microsoft Windows platform. 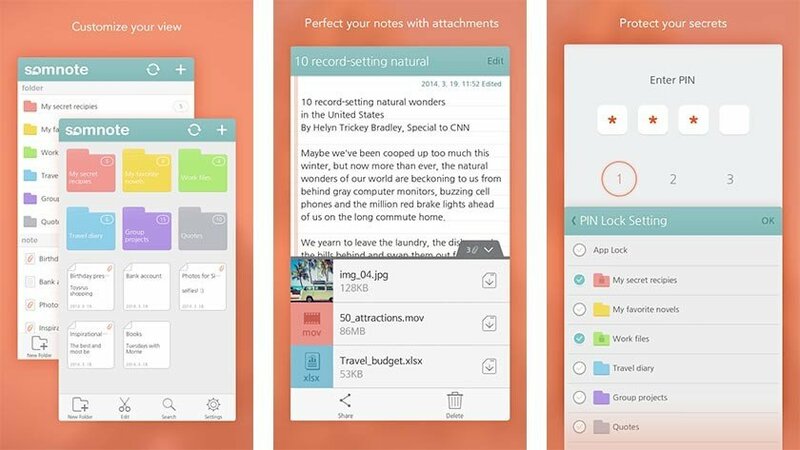 This application can be launched at any time, even when you are talking on the phone to make notes. You can simply close it, once you finish typing and the software will automatically save notes. Without any complicated features, the application advertises itself as the simplest of all notebooks, which is able to perform the basic function of notes quite effectively. Among some other features – integration with Facebook and Twitter, as well as the possibility of sending notes in the form of letters. 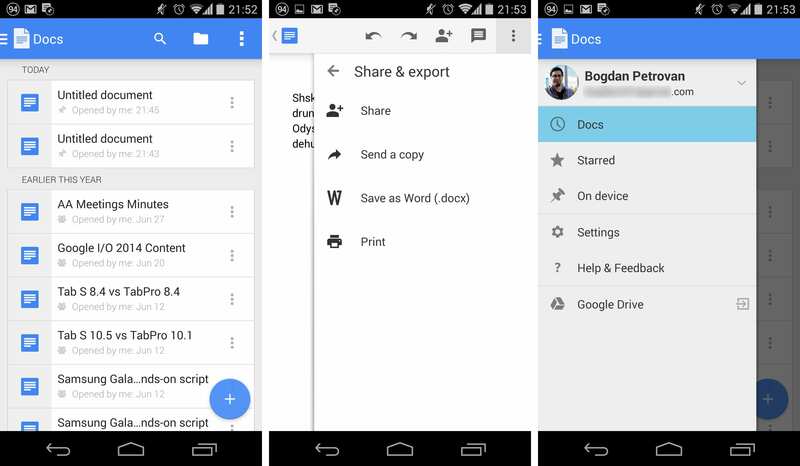 Although Google Docs is an alternative to Microsoft Word, it is often used as a note application. It may seem that this is like shooting a cannon on sparrows but the program has synchronization, you can create lists, and also share records in one touch. Again, the mobile version has all the advantages of a desktop application – you can invite others to edit and comment. In general, we get a full-fledged work with the document. If you want, you can add an image, and also embed a table, which is not in most other applications for creating notes. 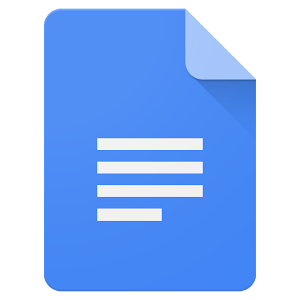 The only notable drawback, the widget from Google Docs is quite simple – it’s a button on the screen to create a new record. It seems to be good – you can immediately create a note without unnecessary movements. But it turns out that there are neither options of choice, nor imaginary convenience from quick access – it’s still fully loaded application. 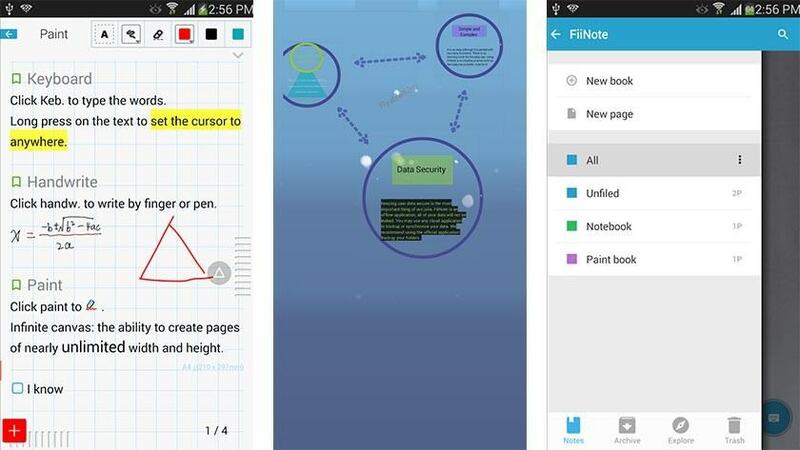 Fetchnotes is a note-taking application that is available on all the most popular platforms. Externally Fetchnotes looks very simple. Almost the whole screen takes a list of notes and only a green button from below makes it clear how to create new records at all. The main screen also has a search button that is needed for searching. The note can be tagged, set a reminder, and add people who also need to be aware of it. 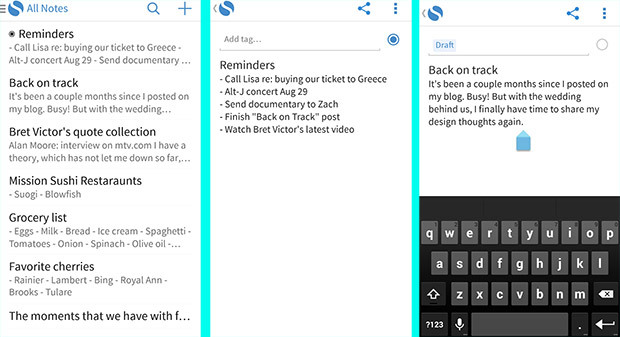 Add a reminder or archive a note with gestures. When creating a reminder, you do not need to enter a specific date and time. It is enough only to choose an approximate time when you need to recall a note, for example “tomorrow night” or “today afternoon”, and Fetchnotes will remind you of the event in this period. In the application, there are three folders: main, reminders, and archive. The Archive folder performs the same function as in the mail. There you can add notes that are no longer needed but in the future, they can come in handy. It is very convenient to work with tags. Marking them notes, you can forget about the inconvenience of sorting or the complexity of the search. Fetchnotes will be an excellent alternative for those who for some reason do not like Evernote. 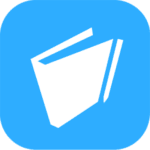 This is a simple, convenient, and most importantly, a free application that will appeal to those who like to quickly make their thoughts in the application and do not spend too much time on it. 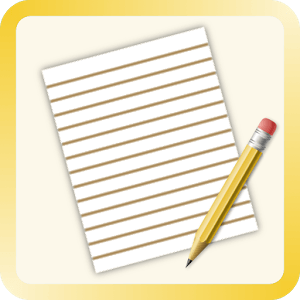 Simplenote is a free application that is a fast, efficient, and easy-to-use service for storing text notes. And the records are synchronized on all connected devices. There is also the possibility of working together on notes and storing earlier versions of notes on servers, which allows you to return to the previous state of the note at any time. In addition, there is an instant search and sorting of notes. Multiplatform. Ability to work under any existing device and any operating system. Password protection. This is a simple but very important feature that is missing in most mobile note-taking applications, even in giants like Evernote and Microsoft OneNote. We cannot trust the recording system, access to which can get a stranger, for example, in case of theft of a phone. Tagging of tags and subsequent sorting by these tags. Offline work with your mobile device. The ability to provide public access to reading notes for everyone, as well as sharing access to editing notes with other Simplenote users. The ability to download all of your notes in one click in the form of a .zip-archive. Very comfortable. The service is completely free. No pop-up ads in the application, no premium features, available only for a paid subscription. 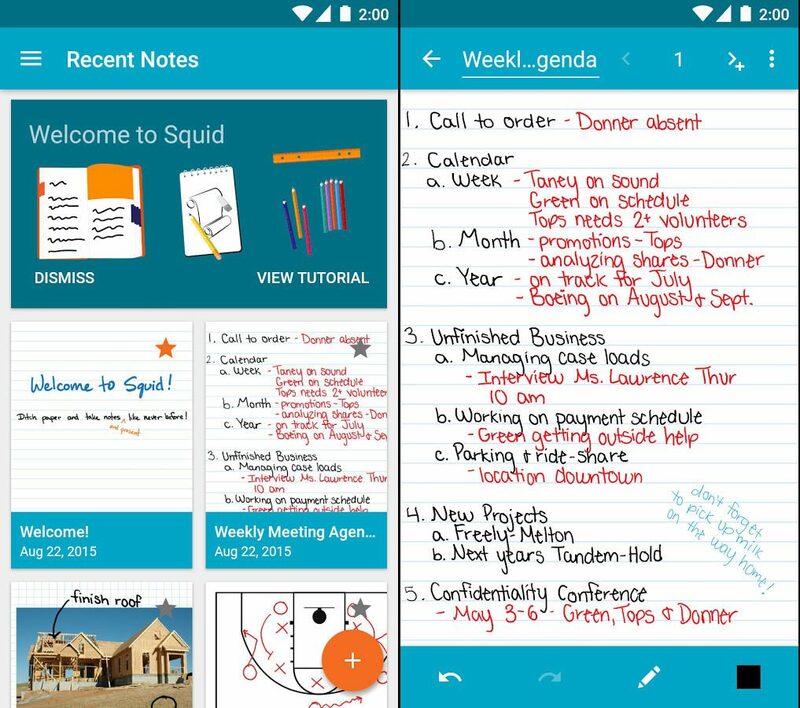 Squid (former Papyrus) is an analog of Penultimate for Android devices. In contrast, in Squid, you can not just drive a finger on the white sheet, and import to notes, images, and geometric shapes. The paper can be of several types (unruled, ruled, square) and size (“endless” tape, letter, A4). Using Miracast or Chromcast users can conduct presentations in class or seminar translating their drawings on the projector or TV. 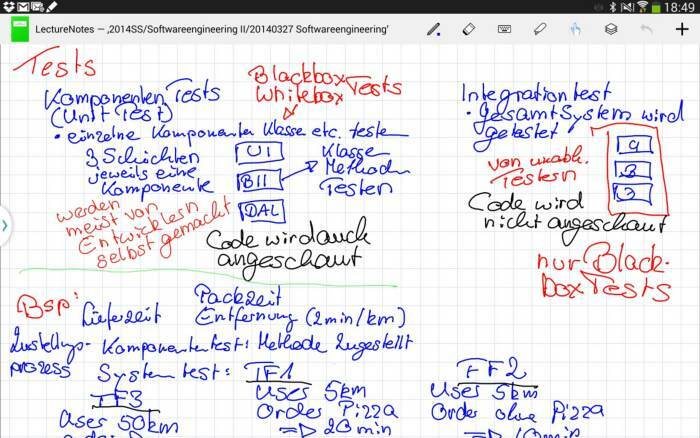 Notes can be exported to PDF, PNG, JPEG for transmission to friends or send the same to Evernote. In the paid version, Squid is open access to premium features such as importing PSD documents, tools for creating shapes and print, export to Dropbox and other “cloud“ and advanced an eraser that lets you erase parts of the letters. Among journalists, bloggers, copywriters, minimalistic text editors are very popular that allow you to work without distractions. But sometimes you have to write texts not at a convenient desk on a desktop or laptop but “in the field” using a smartphone or tablet. For such cases, we want you to recommend the text editor Monospace. The program Monospace is a text editor, in which the emphasis is on the text, and not on beautiful elements of design, special effects, and buttons. When you run the program, you generally will not see any controls – just text on a dark or light background. However, there is still formatting in Monospace. To use it, you need to select a word or part of the text, and then select the desired parameter from the pop-up panel that appears. 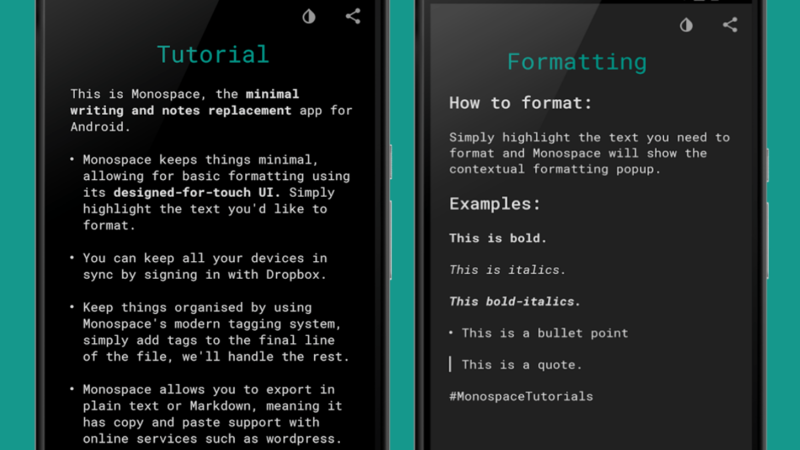 Thus, you can select the text in italics, make it bold, create a list, designate a title or a quote. To organize notes, a tag system is used. You just put a grate at the end of the text, and after it list the tags that relate to this text. The program also supports nested tags, which makes it convenient to organize even a large collection of texts. Of course, we could not help asking about the preservation and backup of texts. With this, Monospace is all right. First, you can share your work in any convenient way with you using the standard “Share” menu in Android. And secondly, all files created in this text editor are automatically saved in Dropbox. This will allow you to set up synchronization between several mobile devices, and always have a backup in case of unforeseen disruptions. In general, Monospace is a fairly interesting text editor, especially for those users who prefer minimalism. The absence of controls makes it possible to focus only on the text being typed, and also to save the screen space, which on mobile devices is always lacking. 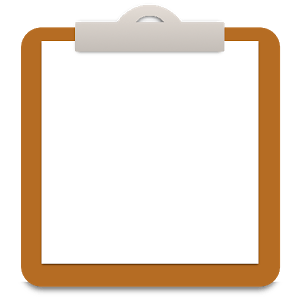 With this application, you can make notes about anything on your mobile device. 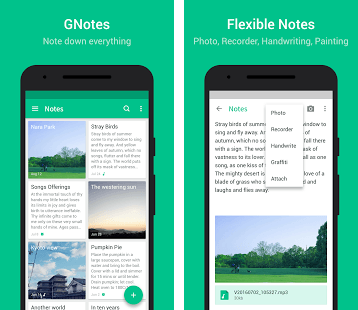 This is easy to see if you download GNotes on Android. 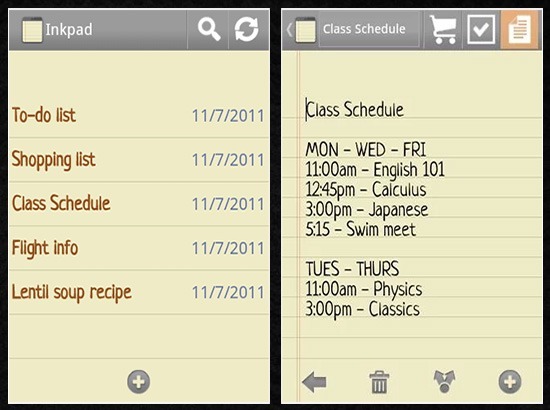 Many useful functions implemented in the application will make it your favorite digital notepad. Features. A variety of notes – the application will create a short text note, a convenient list of purchases or a prescription with photos. All the basic ways of creating records are supported and are somewhat non-standard: typing on the keyboard, handwriting and voice input, drawing, photography. Notes can be divided into topics for a convenient and quick search of the desired one. 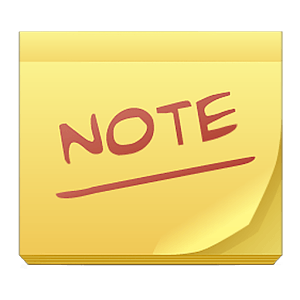 Reminders – an additional reason to download GNotes on Android for free. Having created a note about an important meeting, the user can add a special note to it, so as not to forget about the event. Closer to the scheduled time, the application will remind you about the recording and will not let you skip the scheduled event. Synchronization – for the convenience of the application, the data from it can be stored in the cloud. Synchronization with the Gmail account (button at the bottom of the authorization screen), import and export of records is also supported. To improve security, you can close the notes on your mobile device with a graphical password or pin code. Ease of use and design. The application has a bright design, a pleasing look, and modern design. Interface details are catchy and at the same time easy to use. Thoughtful navigation, clear management, and simple settings allow the user to quickly understand the operation of the program. Paid content. 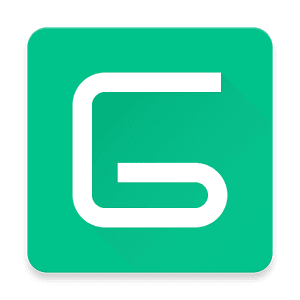 GNotes download on Android for free you can follow the link below. This is a basic application, the period of use of which is not limited in time. There is also a paid Premium version of the program costing approximately $1.3. In it to the existing functions added a dark theme and a widget for quick access to the application. Save memories and photos, make a list of purchases in the form of a listing, and just remember an interesting idea: modern devices are simply created for this. And in most tablets and smartphones for this special applications are installed, which we talked about above. Have you tried any application yet? Do you believe in the horoscope? It is able to predict fate and the near future. Therefore, we recommend you pay attention to the 17 Best horoscope apps for Android.